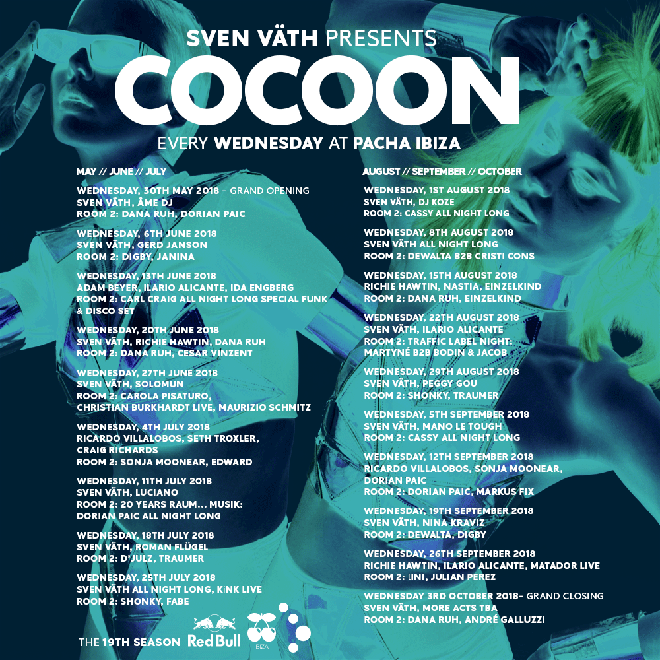 Ahead of its 19th season on the White Isle, Sven Väth has announced the all-star line-up headed for Cocoon. For the first time, the iconic night will be held at newly refurbished Pacha with the season kicking off on May 30 with an Âme DJ set as well as a set from the night’s host Sven Väth. The later weeks see the likes of Peggy Gou (pictured), Adam Beyer, Solomun and Richie Hawtin play. Revellers will get to experience two brand-new dancefloors in Pacha’s rooms, decked out with the latest in cutting edge sound and stunning visuals and FX from the DubLab. Read our review of last year's Cocoon opening party at Amnesia here.